The TANK TH3-D is the ultimate business safe offering full protection during and outside of business hours. It combines the positive anti-hold up features of the TANK system with a heavy-duty T.D.R (Torch and Drill Resistant) quality safe. 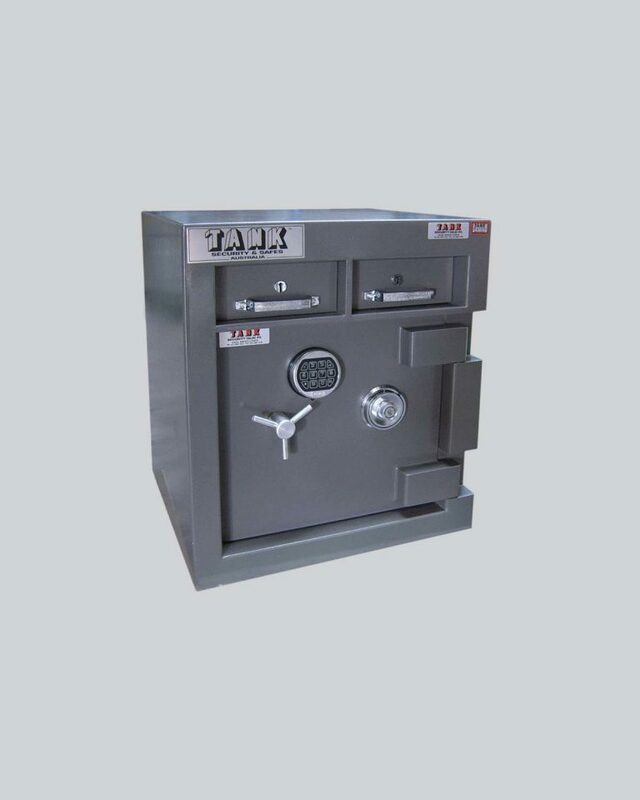 Money is skimmed from the till and fed through a deposit drawer into an internal twin key compartment. Alongside this drawer is another lockable drawer for the storage of change. The ‘TH3-D’ is ideal for high volume cash traders and those who do not wish to bank every day.